A semi-professional Wigan darts player is behind bars today for his involvement in a £2.4m VAT scam. Stephen Maish and five co-conspirators were found guilty at Southwark Crown Court of conspiracy to cheat the public revenue. 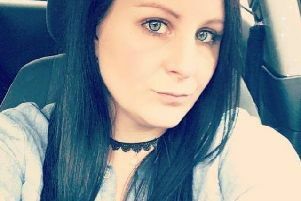 They used insider knowledge provided by former tax office worker Susanne Green, 38, from Moray, Scotland, to fraudulently claim millions in VAT repayments. She was described by the judge as the ‘linchpin’ of the fraud. A three-year investigation uncovered a highly organised fraud and found former HMRC employee Green had used her position working in the Electronic Payments Team in Southend, Essex, to identify unallocated VAT payments and fraudulently pay them elsewhere. Maish, 54, of Willow Road, Beech Hill, allowed his identity and companies to be used as part of the fraud. He denied the charge but was convicted by a jury and was also banned from holding directorships for three years.